Call SERVPRO after any type of water damage in your home. We will put all of our expertise to work for you. If you have ever experienced water damage in any form, you understand that having a qualified restoration technicians involved in the process is critical. They can help you address the situation properly and provide any repairs necessary to protect the structure and contents of your home. Water intrusions of any type occurring in your Trinity home often lead to water damage that most homeowners simply are not prepared to handle. In most cases, water takes over quickly, causing significant damages before you have the faintest idea of what just happened. 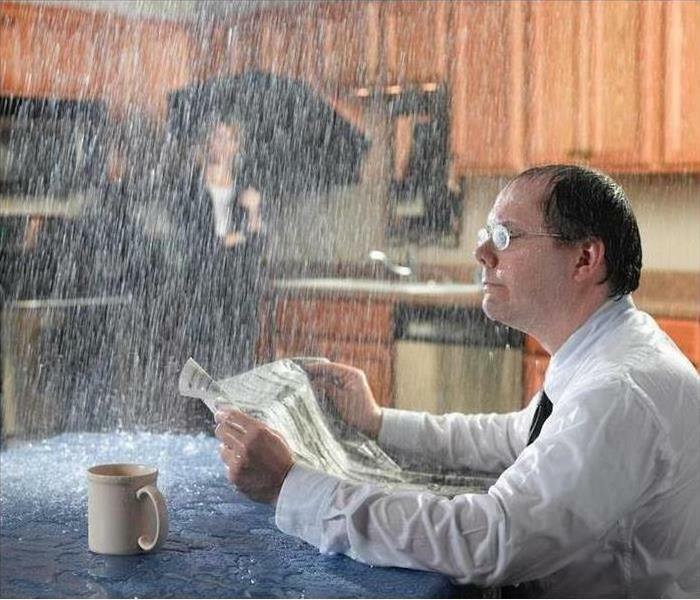 Hesitation turns normal water damage into catastrophic events, making it important for homeowners to understand that they need to address these situations immediately. Hiring expertly trained water damage restoration technicians, like those available at SERVPRO, helps prevent additional damages by removing excess water and providing you with quick drying methods using specialized equipment to restore your home. Giving you the assistance you need to recover from emergency situations properly and maintain a quality environment for you and your family. While some cases can be relatively minor, the damages caused by the intrusion can pose severe risks. Having your entire basement flooded with water containing who knows what, exposes your family to unknown contaminants and causes damage to the foundation, walls, and structural materials found in your home. SERVPRO helps limit the losses you experience and saves time associated with your restoration. SERVPRO technicians can also provide you with any reconstruction services necessary to finish the job properly. 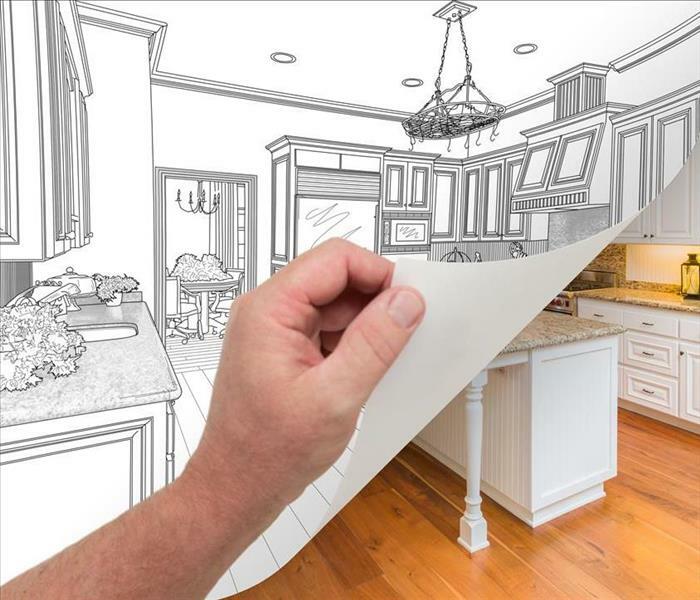 We handle everything construction related including replacement of cabinetry, countertops, subfloor, flooring materials, framing, and drywall while also painting and providing finish work necessary to complete your restoration entirely. Our technicians work hard to provide you with peace of mind that you made the right decision when you decided to use us to restore your home. Building relationships with our customers mean satisfying your needs, and we try to ensure that all of our services meet or exceed any expectations you may have had when work began. SERVPRO mold remediation specialists understand how waiting can result in additional exposure and contamination to other areas of your home. Professional mold remediation technicians performing their services can be an amazing thing to see. They quickly, yet safely, follow established containment, handling, cleanup, and decontamination procedures to get contamination under control and prevent mold from growing again in the future. However, unless you understand whom to call to handle mold damage in your Tarpon Springs area home, you could end up purchasing services from an under-qualified company. You should take a little time to check for certifications and determine how experienced the company is that you decide to use. You can usually spot a fake right away, if a company uses the term “Mold Removal,” or says that they have the ability to eliminate mold on your property permanently, they are generally up to no good. If a company says that they need to send a mold sample to a lab to determine the proper steps to take or methods to use in your remediation process, you should run, not walk, to a more reliable mold remediation provider. SERVPRO mold remediation specialists understand how waiting can result in additional exposure and contamination to other areas of your home. 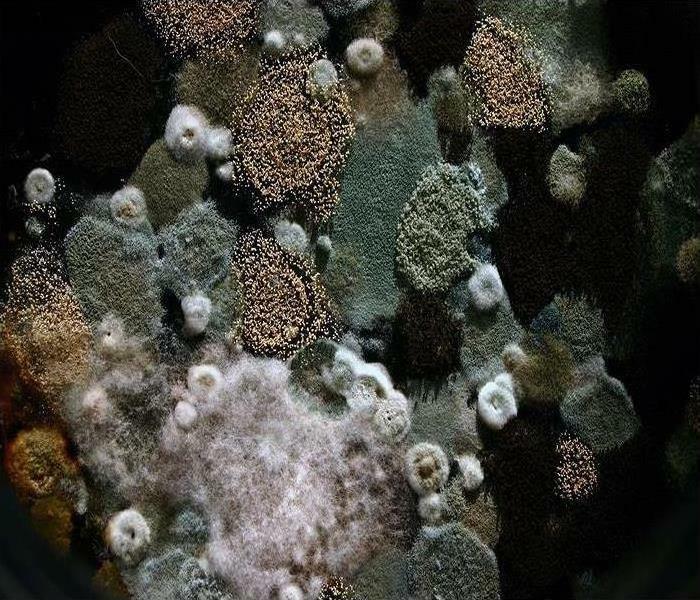 Regardless of the amount or type that our technicians discover on your property; our mold remediation specialists can provide you with the safe, professional services you deserve to get mold growth in your home under control in a timely, efficient manner. SERVPRO technicians understand where mold comes from, what makes it grow, and how to control contamination spreading throughout your property. We have access to industrial-grade equipment, highly trained personnel, and several years of experience providing homeowners just like you with solutions to mold issues found in your home. SERVPRO’s IICRC certified technicians follow standards set by the EPA, OSHA, as well as any local or federal regulations while providing you with the services you deserve to obtain a mold-free living environment. We take the time to address customer concerns, explain our services, and make the entire process as stress-free as possible. Contacting SERVPRO of Tarpon provides you with access to expertly trained mold remediation specialists who care about the results they provide to each customer. We are available 24/7, anytime, day or night, giving us the ability to provide you with the solutions you deserve, today (727) 934-5555. Tarpon Springs is a amazing city, to learn more click https://www.ctsfl.us/. After a fire, soot damage is very typical. Soot can be a black flaky or oily or powdery substance which forms from incomplete combustion. Fine carbonized compounds cling to surfaces in your home like ceilings and walls, plus your possessions. Soot can be difficult to remove, and sometimes it is not possible to restore the surface to its pre-fire condition. There are two types of sediment you can find after fire damage to your Trinity home – oily and dry. A quick check you can do to discover the type of residue you have is just to run your finger over a soot-covered surface. It is oily residue if it smears. Try not to make a mess. Better yet, leave it to us to inspect and clean. You need an experienced fire damage restoration team working with you to clean the soot from your home thoroughly. 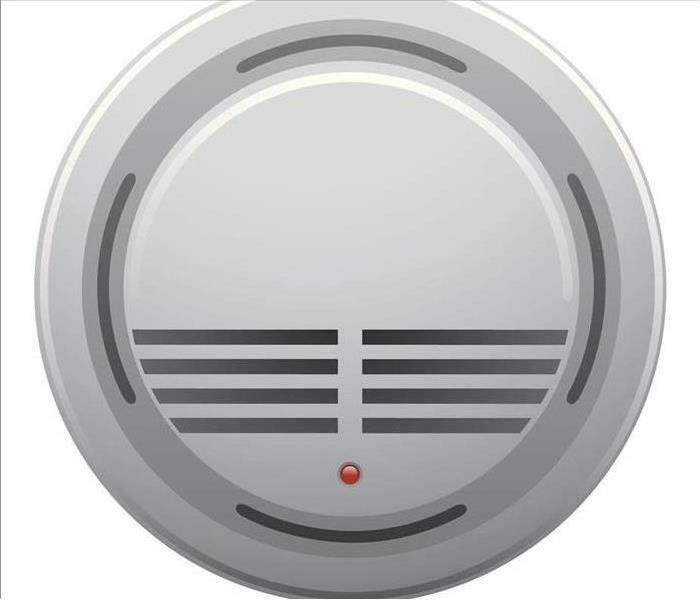 SERVPRO is standing by to help you as soon as the fire is out and everyone is safe. 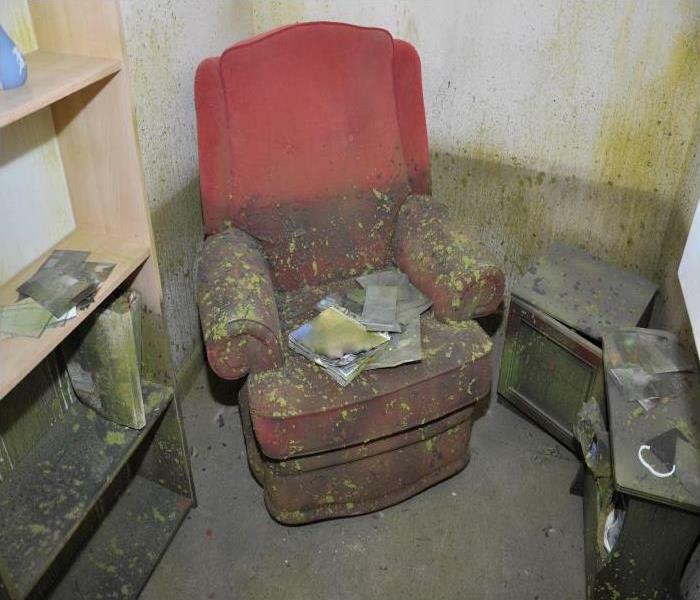 The longer you leave the smoky substance sitting in your home, the more damage it does. Heat from the fire pushes the soot and can cover everything in its way. Smoke looks for a kind of equilibrium and travels until its energy is used and it goes to cooler temperatures. When tested, soot can always be found on the acidic side of the pH scale. Acidic materials are destructive to a majority of elements found in nature. Over time, they keep degrading materials by oxidation which leads to discoloration, etching, corrosion or pitting. Stains over metals can yellow and soften. These reactions are ongoing from soot residues until they are removed. 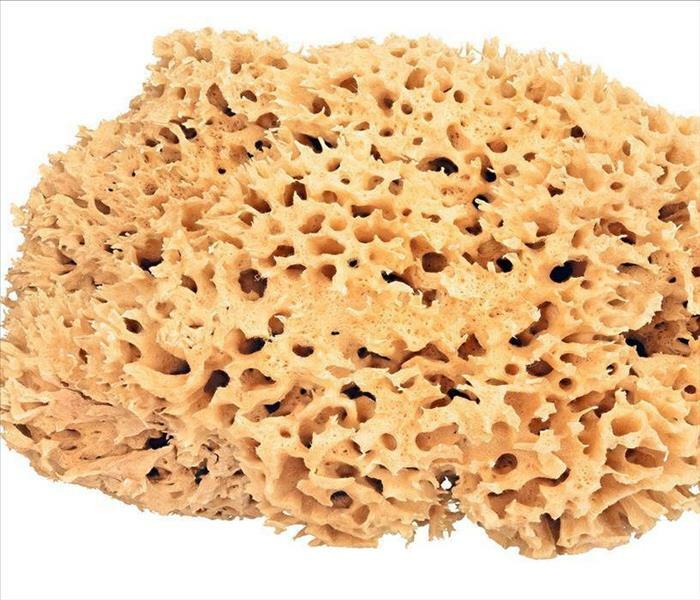 We can clean up oily residue with special degreasing agents, while we clean dry soot with cleaning sponges. Sometimes, soot will be oily in one room and dry in another. It all depends on the kinds of materials that were burned, so we check ahead of time before we begin remediation. 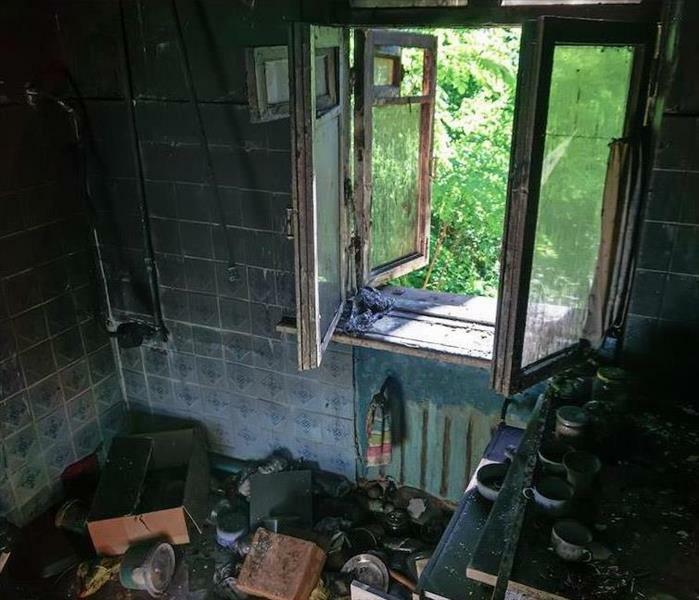 Many varying types of damage occur after a fire, including water damage from firefighting efforts, but soot damage continues to eat away at the surfaces it is covering if left untouched. SERVPRO of Tarpon knows how important it is to move fast in these situations, so give us a call as soon as possible at (727) 934-5555 so we can restore your home back to its preloss condition. Our crew will eliminate mold colonies in your hotel so guests feel safe. We are available 24/7 so call us right away so we can started. Guests of your hotel and restaurant in Trinity are not interested in viewing or smelling mold when on a long-anticipated vacation to the Sunshine State. Mold growth can be tricky to locate but makes itself know with a musty smell and dark staining. Standard cleaning methods are no match for the challenges of mold growth and can make matters worse. Call the experts for mold remediation. Mold damage is a constant worry for businesses in Trinity. Our humid climate and the heavy rains we experience combine to provide the moisture mold spores need to multiply. Owners and property managers need to be vigilant about keeping indoor humidity levels lower than 60 percent, cleaning up spills, and maintaining plumbing and water-dependent appliances. If mold is observed it is crucial that the methods used to treat it are effective. Often housekeeping crews depend on diluted chlorine bleach mixtures that fail to penetrate deeply enough into porous materials to kill the mold completely. SERVPRO crews utilize EPA-registered antimicrobial agents specially formulated to eliminate active mold colonies. We also use mechanical methods to clear mold from surfaces, brushing and scraping the moldy residues off. This works well on non-porous materials. If faced with cleaning mold from drywall, grout lines, and other structural components that allow water to penetrate and absorb SERVPRO might choose a strategy like soda blasting to reach the hyphae beneath the surface. As we plan our mold remediation for your business, we also provide containment methods to ensure spores and other residues do not drift to non-affected areas. Our EPA-developed mold remediation protocol includes containment of the moldy areas. Heavy plastic sheeting and negative pressure air scrubbers keep the mold exposure limited. SERVPRO crew members don personal protective gear to prevent tracking mold into other areas. We try to keep non-affected spaces in your facility open and operating as we contain the work area. SERVPRO works with your and your chosen contractors to arrange for the elimination of the moist conditions causing the mold risk. SERVPRO of Tarpon supports the commitment of our employees to obtain advanced certifications from the IICRC, including Applied Microbial Remediation Technician. Call us at (727) 934-5555 to schedule an evaluation of your mold remediation needs. Visit the Starkey Market click here for more information. Heavy rains are a given in this part of Florida and flash flooding is a valid concern for homeowners in Tarpon Springs. The flood water removal process needs to begin as quickly as possible to mitigate damage when it enters your home. That is why you can rely on us to schedule service within one hour, and we can be on site within four hours after your initial call. Flood water in Tarpon Springs is never handled as a clean water situation; it is grey water at best and often black water due to contaminants such as sewage or chemicals and debris picked up along the way. SERVPRO IICRC-certified technicians are experts in applied structural drying, odor control and restoration techniques to keep losses from water damage to a minimum. We utilize powerful truck mounted pumps and gas powered submersible extractors to pull the water out of the home as quickly as possible. In-place drying is not applicable for carpeting and padding that has been submerged by gray or black water. In some cases, in-plant drying can be done, but often the carpet and padding require replacement due to contaminants. If the flood water was not deep in the home, furniture could dry on raised blocks. SERVPRO technicians set up powerful air movers and dehumidifiers to dry the subflooring and to speed drying of walls, weep holes can be drilled to allow the air flow to reach behind the drywall and effectively dry the building materials. Along with drying the structure, the technicians want to eliminate conditions that are conducive to mold growth. Along with lowered humidity and dry surfaces, we use powerful antifungal cleaners to thoroughly wipe down areas affected by water to inhibit mold growth and stop the problem before it starts. When you call SERVPRO of Tarpon at (727) 934-5555, our certified technicians can begin the process of flood water removal by asking questions about your unique situation to determine what type of equipment we need to bring to neutralize the water damage in your home. We are available 24/7 to quickly and efficiently make your loss “Like it never even happened." If you need help with a water issue in your home, contact SERVPRO of Tarpon at (727) 934-5555 now. Personal property damages may seem like a job for the homeowner, but in 99% of cases, it is better handled by a professional. One of the key reasons for this is equipment and knowledge, but an often underrated reason is guarding against secondary damages. Secondary damages could include things like the growth of mold or mildew from hidden damp spots, unpleasant lingering odors or staining on furniture and fittings. For those reasons, it is essential to use a professional service for water removal in Innisbrook residences. SERVPRO use local technicians who understand the unique architecture of your home and can make an instant impact. We offer reduced call out times as well as the latest proprietary cleaning solutions to ensure a practical solution to your property problem. Removing standing water is a time sensitive job. 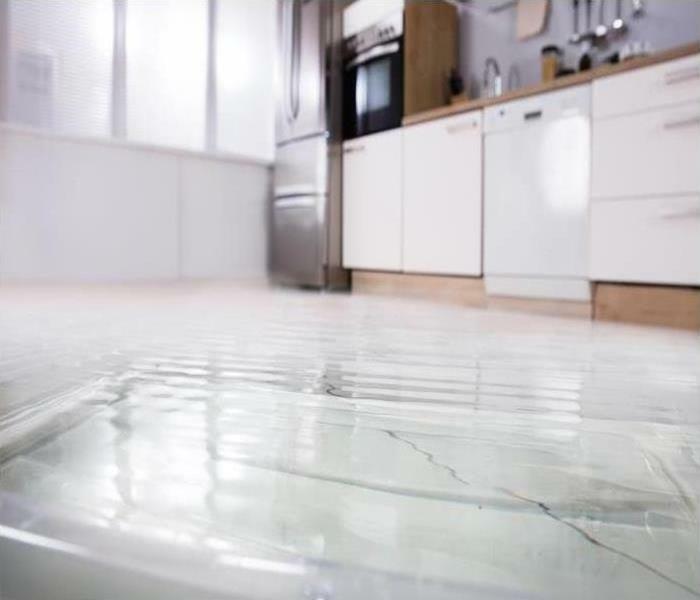 The longer standing water is allowed to sit the more likely it is to tap into subfloor or wall cavities and saturate sheetrock or subfloor mats. This type of saturation can quickly cause long term damages. SERVPRO use emergency gas-powered pumps for any standing water above two inches. These equipment are fully submersible and pump water into an open sewer point making them effective at dealing with larger spills. Once the standing water has gone, it is essential to proceed with caution for the remainder of the service. Fabrics, upholstery, and furniture can be up to 50% weaker when wet which means a heavy-handed approach could easily cause permanent damage. We use portable extraction units that are fitted with lightweight wands to dry rapidly but without the abrasive nature of some drying equipment. Often, we run equipment several times over the same spot to ensure your possessions are restored rather than in need of replacement. Our last step is to introduce your walls, carpets, and home to anti-microbial treatments. These help to prevent mold growth occurring after a spill and ensure the damage is dealt with at the first time of asking. Click here for more about Innisbrook. Homeowners dealing with residue coated household items can easily spread the damage throughout the home. 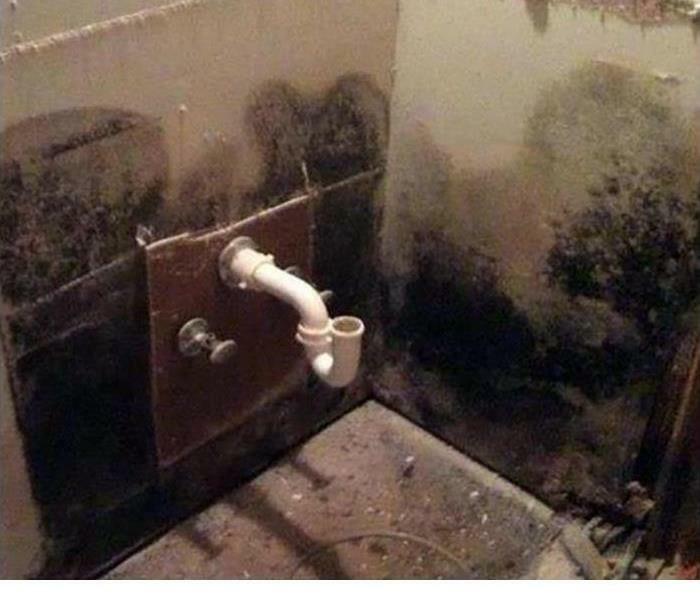 Call SERVPRO to remediate. Whenever something burns inside your Trinity home, there are several different procedures a professional restoration company such as SERVPRO can take to mitigate your problems. During every fire damage situation, there are several choices and decisions to be made. When we first arrive at your residence after an emergency call, we begin inspecting your entire property for damage. During the first contact with you, the homeowner we determine how far the issues traveled away from the source, and we figure out the severity of the problems. After we get a good idea of what the fire damage project will entail, we then provide an initial work scope and estimate for you and your insurance adjuster. During the initial inspection, our SERVPRO estimators must determine whether the negatively affected building materials and contents inside your house can be saved or not. 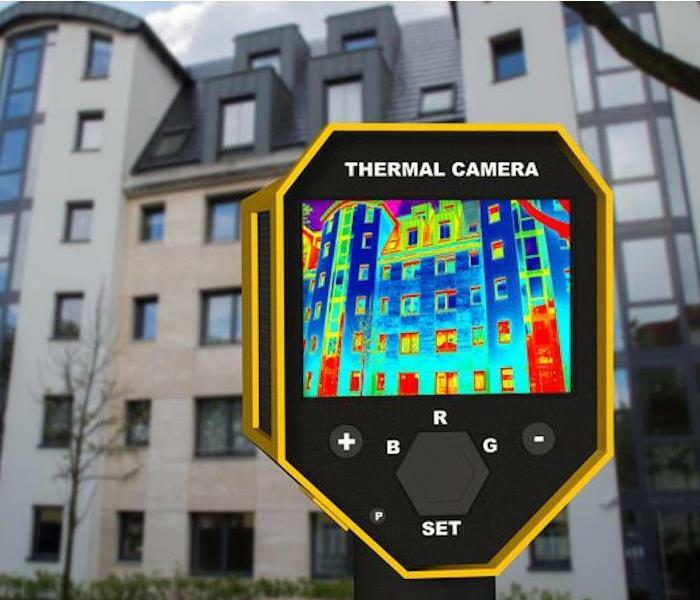 Whenever we are writing up the first estimate during your fire damage project in Trinity, we must figure out what will be the most cost-effective method. We have to determine how much the item will cost to replace and how expensive it will be to repair. If the costs involved in cleaning or refinishing the item are cheaper than paying to replace it, we mark it on the estimate as something we can save. If repairing the building materials or contents is more expensive than replacing it, then we remove the items. When dealing with burnt or residue-coated objects, our SERVPRO technicians know that their options are to clean, resurface, or replace the items. Cleaning is the least expensive and quickest restoration option — the object when cleaning is to remove all of the soot residues that exist. Our primary goal is to preserve fabrics or surfaces and return them to their preloss state. Resurfacing items inside your home is more expensive than cleaning, and it takes more time to complete. Resurfacing can include the refinishing of wood furniture, the re-upholstering of furniture, and possibly the painting of walls and ceilings. Replacing is the most expensive option and only gets used when the other two methods are either not feasible or not cost-effective. If you ever have something set ablaze inside your house, call SERVPRO of Tarpon at (727) 934-5555 immediately after the disaster occurs. Click here for more information about Trinity. 1/15/2019 - When A Flood Plagues Your Home In Tarpon Springs, You Need Help From A Professional Restoration Company!